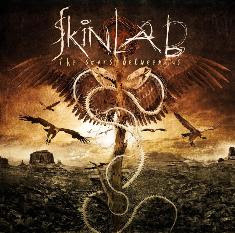 "The Scars Between Us," is the new highly-anticipated album from SF Bay-Area metal heads, Skinlab. This long-awaited LP is the first Skinlab release in over 7 years! 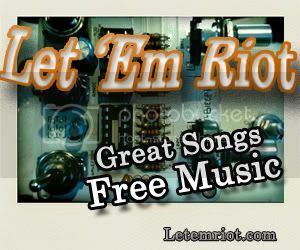 11-tracks equals 11 tunes that will astound and amaze. Skinlab presents themselves hard and heavier than ever before, taking their musical abilities to a higher standard. The instruments on "The Scars Between Us" travel down a whole new route; more aggressive and heavier than expected, drifting away then making its way back around in full circle creating this sound wave of absolution. When "Amphetamine Gods," and "Scream At The World," play back-to-back with such intensity and adrenaline, you could inhale the rush of energy pushing through your speakers. Skinlab sounds a lot like Flatline as far as instrumentals, consisting of rough and heavy uniqueness. Skinlab's Steev Esquivel takes complete control with two roles, one being bass the other vocals. His vocal chords set up an intensity that brings Jamey Jasta to mind with the screams and shouts that come echoing through. "In For The Kill," and "Still Suffering," are another set that go well together. Head on "In For The Kill," instrumental usage takes up for the most part. Showcasing the guitars uniqueness in all means possible, unleashing several solos if not misleading riffs that constantly throw you off guard. Whereas "Still Suffering," does the complete opposite allowing Steev's vocals to do most of the work. Screaming and shouting until his vocals are tattered and torn, blood rushing from his lips drawing Skinlab to a final conclusion. The ending beingÖ. What it says "The Scars Between Us."